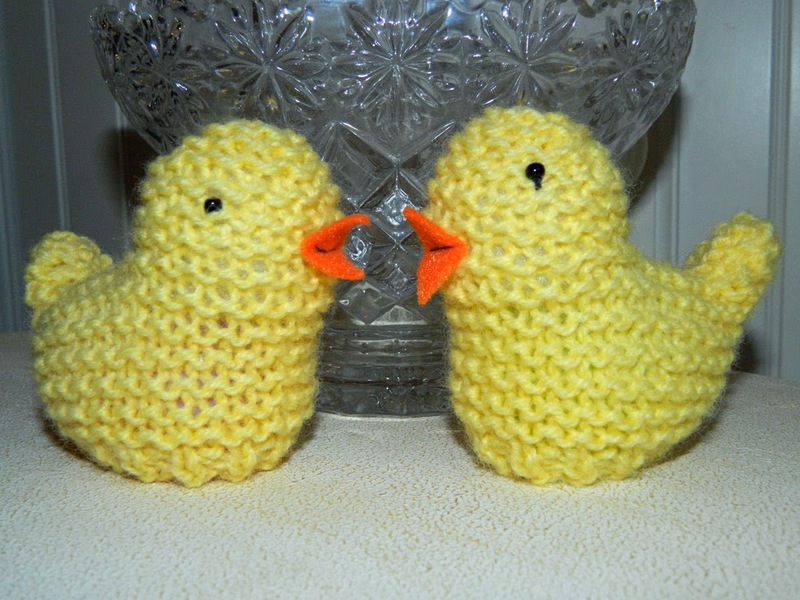 I knit each of these chicks in about an hour including sewing the seam and adding the beak and eyes. These cute chicks are egg covers. Their shape is completed with a plastic Easter egg in the knitted body. 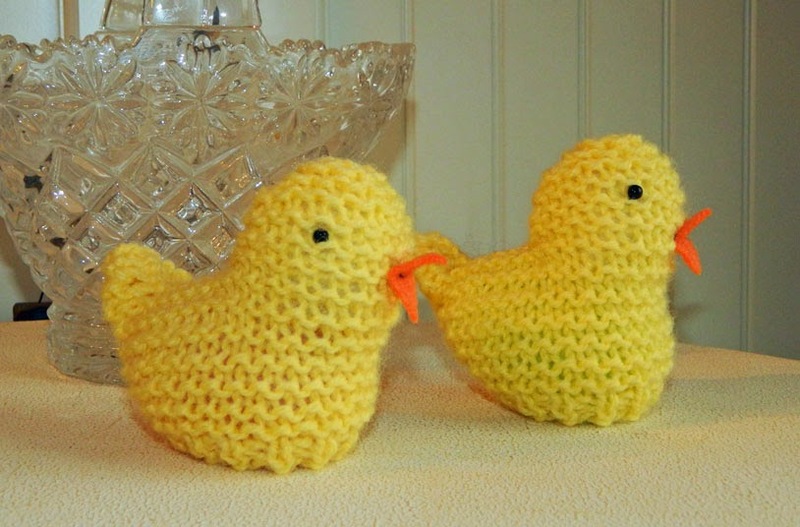 These great little chicks are knit on U.S. Size 6 knitting needles and a small amount of DK weight yarn. I knit these using Plymouth Encore DK in yellow. There are lots of cute projects in this magazine. 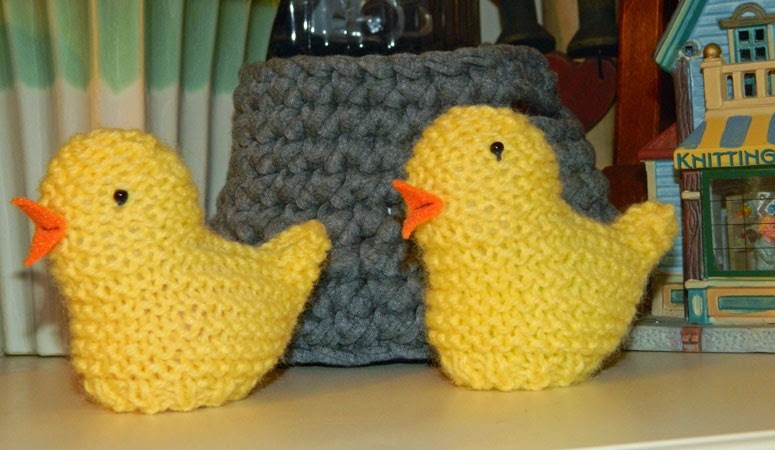 In addition to the chicks, there is a family of knit ducks, and a few sewing projects that look like fun. Here’s a few more pictures of my chicks. I’ll be making as many as I can in the next few weeks and sharing them with family and friends for Easter. 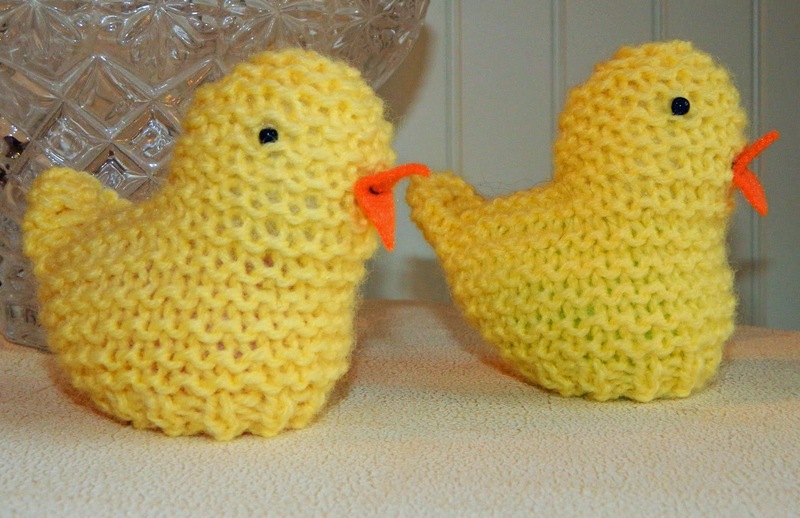 Now if I could only locate the bunny egg cover that I knit a few years ago, I could make a lovely scene for Easter.